‘Might just be me, but it seems like communication with the public is getting noisier—it’s not a question of sound, but of noise. Aggressive, cloying unnecessary, inappropriate noise. In BC, the Savings & Credit Unions of BC campaign is torturing us with the grating belting out of You Are the Only One—it’s supposed to give us the warm fuzzies but it ain’t workin’. The Art Institute of Vancouver and the Culinary Institute of Vancouver are using voice-overs recorded by a girl who sounds like an ailing American street kid and is unable to enunciate the letter ‘t’. This is noise. Vancouver rock ‘n roll fans used to religiously listen to 101 CFMI, the big daddy of the FM band. Then it switched its programming to heavy metal and a lot of us switched to Victoria’s 100.3 The Q, which used to have the perfect play list—good classic rock ‘n roll and lots of new music. Now, The Q has gone after the mullet crowd, delivering a steady stream of Heart, Kiss, ACDC and Van Halen. Ugh. Back in Vancouver, CFMI now claims to be the home of classic rock. So its play list is Led Zeppelin, Rush, Led Zeppelin, Pink Floyd (but only the tired standards from Dark Side of the Moon), more Zeppelin, more Rush, ACDC, Led Zeppelin and Rush. The Rolling Stones, The Police, U2, Bruce Springsteen, Aerosmith etc. are largely excluded. I like Zeppelin as much as the next rocker chick, but when I’m driving way too fast in the honey-bright Vancouver sunshine, I just don’t want to hear Stairway to Heaven. 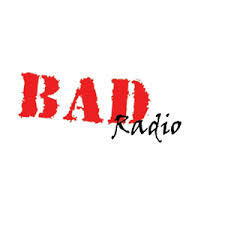 Bad radio is just plain noisy. And, for this market, this station’s music is inappropriate. On the larger stage, why is Cadillac using Led Zeppelin to sell its cars? This is also an example of how a trend can go wrong (and, hopefully, die off). The use of good rock ‘n roll music to sell cars began years and years ago. Chiat/Day mastered the technique, for Nissan. It came back and gained steam in the last five years. Now, agencies all over North America use it to sell everything, regardless of whether or not it’s appropriate. Right now, 2000 Flushes is using R&B music (and women in blue sequin ball gowns). Air Canada is using Celine Dion—presumably to prove that it’s still a champion over-spender and to instill some kind of national pride. When was the last time a Canadian told you that he loved listening to Celine Dion? I think most Canadians wish the girl would just go away. Back in BC, the long-time formula for Telus has been to show animals, play music and hope that, somehow, consumers will want Telus’ products and services. Aside from the fact that using non-canine or –feline animals in commercials is hopelessly old-fashioned (and, often, cruel and unethical), the animals are irrelevant to what Telus wants to sell, and the music is unnecessary. Do you remember the days when radio people chose the right music for their markets? Remember the days when agencies commissioned original music for their clients? Perfect, appropriately-crafted music. An example has just arisen with the new Ford commercials, with Kiefer Sutherland’s dulcet tones and elegant, ear-catching music. Hopefully, this is a new trend—it would be such a relief. It’s true that the best way to get someone’s attention is to whisper. The most compelling TV commercials are those that are quiet—they force people to look at the screen. In radio, the opposite is true, but if the music is so bad that listeners change stations, no one’s going to hear those ads. Maybe the problem is that creative directors are too young—because it is the twenty-somethings that grew up with noise, addicted to ear phones, video games and head-banging rock. The 30-60 demographic was raised on sounds that were appropriate to the culture at the time. Bringing back those sounds, turning up the volume and slapping them on product ads may get people’s attention, but not necessarily the desired reaction. For the 30-60 set, it’s more likely to make us tune out. And we’re still the ones with the big spending power. This entry was posted in General Ranting, Marketing & Advertising, Music Industry and tagged 100.3 The Q, animals in commercials, Art Institute of Vancouver, Canada, CFMI, compelling TV commercials, Rolling Stone, Savings & Credit Unions of BC, United States, Vancouver.